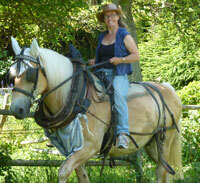 We own German horses known as Haflinger as well as Swiss horses known as Fryberger. 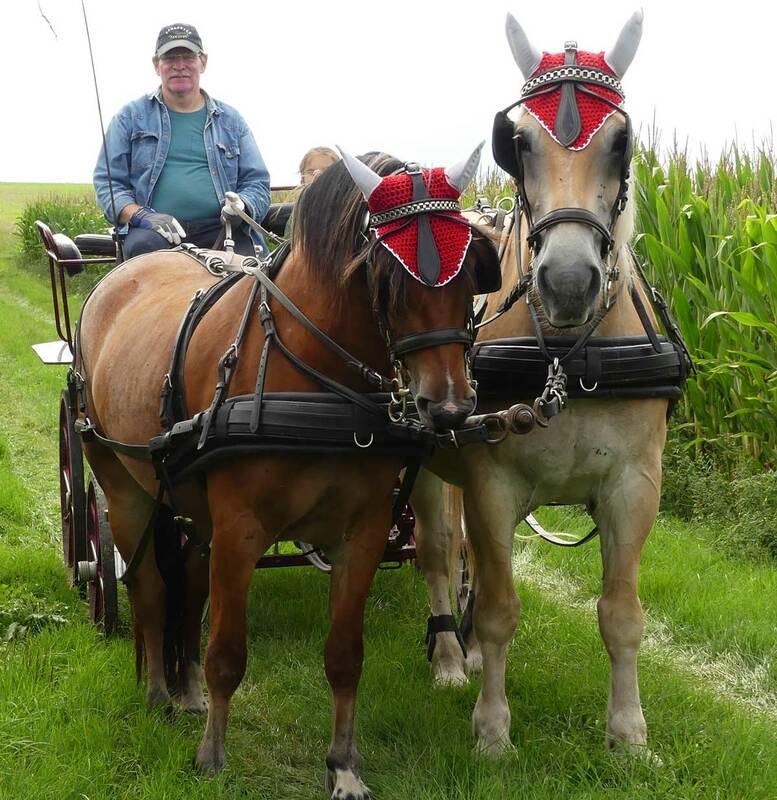 Together we undertake all kinds of journeys and errands by wagon. We value this gentle type of driving in contrast to the haste and hurry of modern life. Those of us who go gently reach their destination while being able to enjoy the magnificent scenery of the Hunsrueck. With our covered wagon we go through meadows, wood and forests with the sunlight dappling the leaves of the trees. In the winter we ride through the snow with our open sleigh, its jingling bells can be heard far through the white splendour – it’s a perfect winter wonderland. Our magnificent historic carriage can take you to your wedding day in unique style. Use this beautifully restored carriage to show the one you love how much they mean to you by taking them for a romantic ‘open top’ tour. 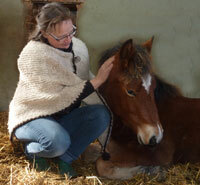 He has a good portion of a drafthorse in his blood. 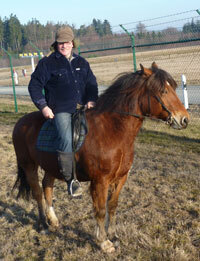 So his powerfull body and motions make him a wonderfull riding-horse. Also he is well enabled to pull any of our wagons – sometimes alone, but mostly in a team with one of the other horses. Gibt Es auch moglichkeiten zu reiten . Yes, there is a possibility to ride! Ja, auch reiten ist im Angebot.